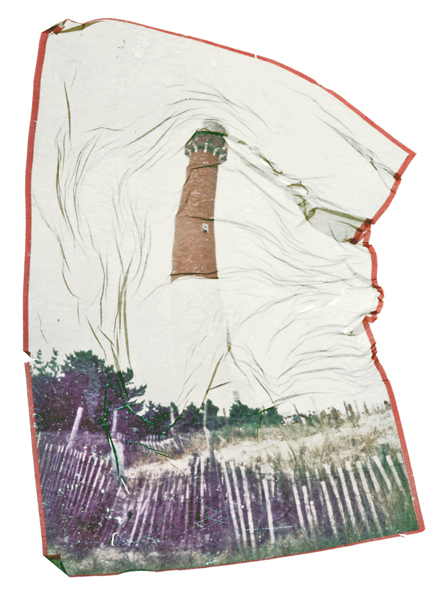 Of the thirty nine lighthouses that originally protected New York Harbor, a significant number remain standing. Seven examples of New York Harbor lighthouses are shown at left. Lighthouses lit the way in the first half of the 19th Century when there was a rise in ship-borne commerce to New York Harbor. They represented the growth of shipping to and from the Port of New York via routes northeast of the city, where the Long Island Sound meets the East River. Ships approaching New York City from the North Atlantic commonly took advantage of the relatively protected waters of the Sound, where the lights led the way not only to New York, but to the coasts of Connecticut and Rhode Island. 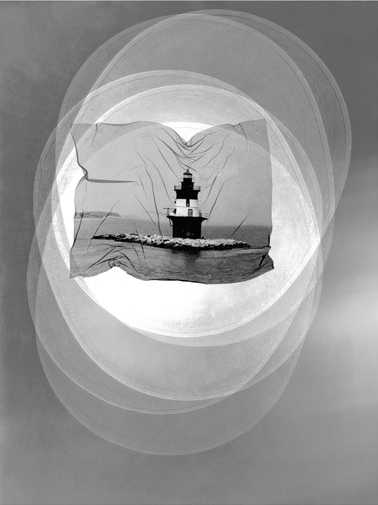 While first to weather a storm lighthouses stand as proud sentries to harbor entrances worldwide. 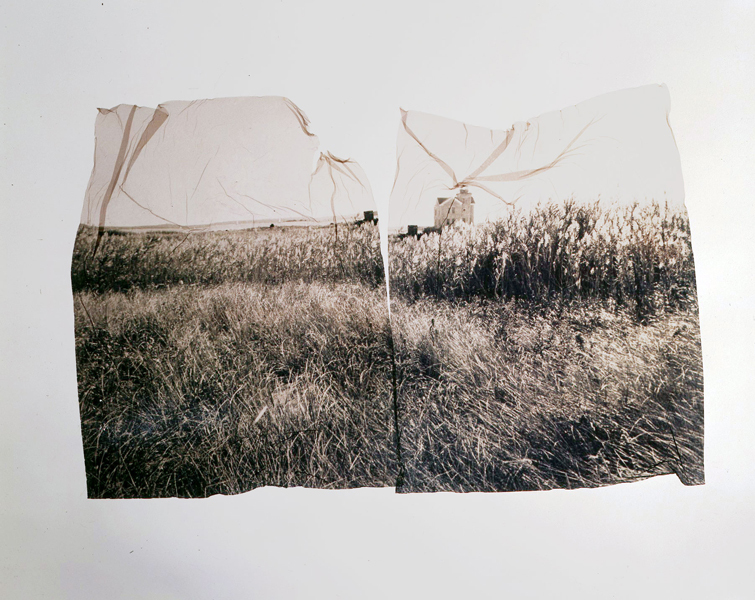 These photographs are presented by using a combination of emulsion transfer technique, photogram, and gold or silver gilding to represent wind, weather and light. 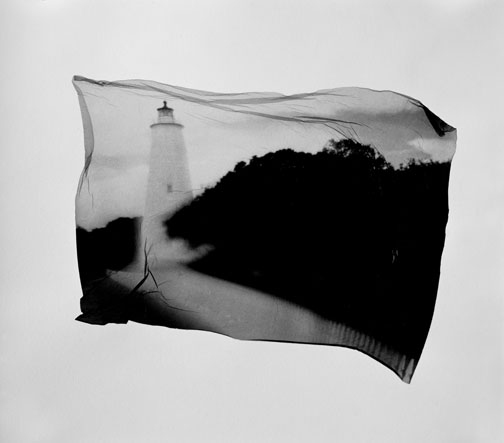 “Margaret Casella has put a twist on her photographs of lighthouses and, at the same time, her work has brought her in closer contact with their historical significance”. Six images featured. “New Views of Old Friends Along the Seashore”. 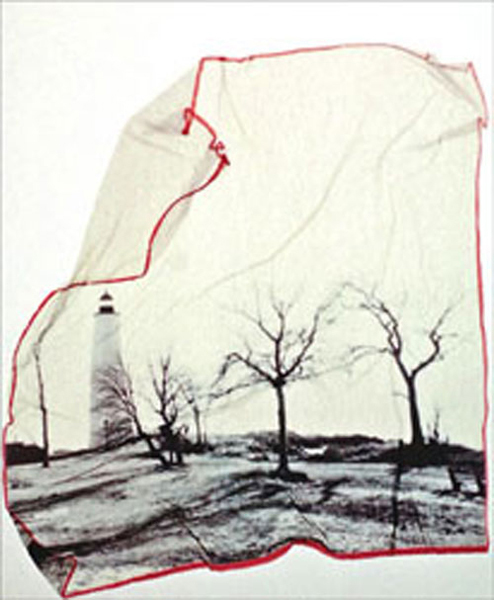 “Of Land and Sea”, Elaine Benson Gallery exhibit.